The good news is that this may be the best book ever published on this topic. The bad news . . . it’s out of print and copies are hard to find. 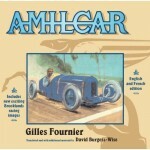 If you don’t have this book, spending some time to track down a copy will be worthwhile. It’s that good. 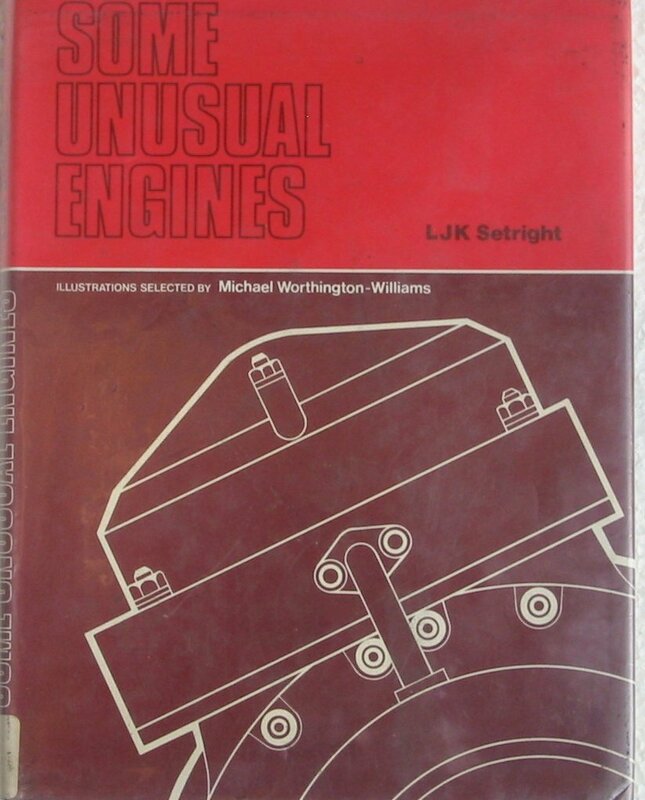 Some Unusual Engines was published in Britain for The Institution of Mechanical Engineers in 1975 and is based on a meeting held in 1971 that discussed in detail gas and diesel engines of unusual design. The speakers presented and discussed the pros and cons of all sorts of engine configurations that operate in non-standard ways. Some designs never saw the light of day, while others became successfully employed in commercial use. Old designs, clever before their time, in particular those that failed due to technological shortfalls that have since been overcome, are reconsidered for current practicality. The wide variety of non-standard gas engine designs that have been built and operated is surprising. They include, of course, opposed pistons, sleeve-valves, and rotary valves, all of which I was somewhat familiar with, as well as designs new to me, like a three-cylinder diesel working off one combustion chamber, and a whole series of small diameter (as little as 12 inches) wobble-plate piston airplane engines, some from the mid-1930s. 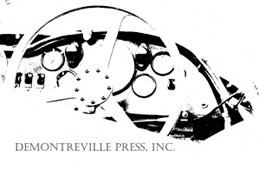 Also included in the book is the incredibly complex WWII Napier Nomad two-stroke diesel aircraft engine featuring an exhaust-driven gas turbine geared to the propeller through a variable speed transmission—basically a turboprop using a very large sleeve-valve engine acting as a gas generator to spin the turbine. The more compact and successful Wright R3350, operating on the same basic principle, is also displayed and discussed. Dozens of other equally fascinating powerplants dating all the way back to the very beginnings of modern gas engine development in the late nineteenth century are considered for their potential practicality today. For me, the drawings alone were worth the price of admission. Frequently highly detailed and informative, the schematic cutaways are masterful and accurate, leaving little to the imagination. It’s not a stretch to think that someone could make a living selling high quality poster-sized reprints from this book to gearheads like me. Ten to 15 of the 65 illustrations in this book are beautiful examples of the art of cutaway mechanical drawing. While some of the photos are equally outstanding, most are useful only to prove that an operating engine of some obscure type actually existed. The author, Leonard John Kensell Setright (1931–2005) started writing for the English engineering magazine Machine Age in the 1960s, and was a steady CAR Magazine contributor for three decades. His writing style is fun to read and technically savvy without becoming burdensome with engineering terms that can glaze the eyes and dull the brain of the uninitiated. 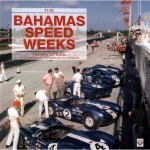 Between 1971 and 2005 Setright wrote 16 other automotive books and co-authored two, acting as editor on two more. In short, he knew a good story and how to tell it. You don’t need an engineering degree to read Some Unusual Engines, but you’ll feel like you’ve got one when you’re done! Here is a partial list of the engines discussed and illustrated to whet your appetite: the 1963 H-16 3-liter BRM racing engine, the 1925 Tipo 451 Fiat 1.5-liter opposed piston six-cylinder two-stroke GP engine, the 1918 Napier Lion and 24-cylinder WWII sleeve-valve Napier Sabre and the incredibly complex Napier Deltic. Aspin and Cross rotary valve engines. The WWI Gnome rotary with the inlet valve built into the piston, and the Siemens and Halske contra-rotaries. The 1960s American Thikol Dyna-Star two-stroke with two pistons in siamesed cylinders working together in a common combustion chamber. The Wankel rotary, of course, plus the Sarich, Tschudi, Bradshaw Omega, and Kauertz rotaries. The Virmel “clap-hands” opposed wedge-shaped piston engine. Scotch yoke designs including one by P.C. Vincent of Vincent Motorcycles. The free-piston Herrmann 6-cylinder. Cam-plate, swash-plate, and wobble-plate engines. All these and many more await your squinted reading eye as author Setright describes the strong and weak points of each. Setright also left little doubt about his opinion of new (for 1975) exhaust emission legislation. “Engines that satisfy the new rules about noxious emissions are poor emasculated things . . . each bigger and more gutless than its predecessor . . . producing their pathetic powers at modest revolutions.” Things have changed today with stratified charge, variable direct injection, turbocharging, and ignition computer control, all of which Setright discusses and saw as a necessity before emissions could be tamed in a positive way. Having been the owner of a smog-choked 1979 Cadillac Phaeton, I can attest to the accuracy of his criticism. Of course, unbeknownst to me, my younger brother-in-law was illegally running leaded fuel in the Caddy to save himself pocket change, gradually plugging up the catalytic converter and killing what little performance there was to start with. Ah, relatives! The book opens with the Contents, an Introduction, six chapters covering topics on “Engines of Unusual Respiration in Charging and Scavenging,” “Unusual Construction,” “Unusual Valve Apparatus,” “Unusual Format,” “Unusual Translation of Power,” and “Future Conventional?” Following the chapters is a list of 116 unusual engines with a few words describing each of them: “free piston,” “contra-rotary,” “precessing pistons,” “6-stroke gas engine 1883,” etc. A four-page Index closes the book.